Oktoberfest, as I imagined it would be, was crazy! Having attended both, I can safely say I prefer the calmer and smaller Springfest, but I am still happy I got to experience the real Oktoberfest. It was basically the same as Springfest, just on a larger and more drunkin scale. Oh, the level of intoxication... It is definitely comical at times and sad at other times. You should also bring earplugs because all you hear all night long are ambulance sirens! Like during Springfest, I found that I enjoyed the beer tents in the morning and early afternoon, when things were calmer. After a morning of toasting, sampling delicious pretzels, eating a Bavarian lunch, and enjoying some traditional music, I would head out and explore Munich. But more on Munich later. 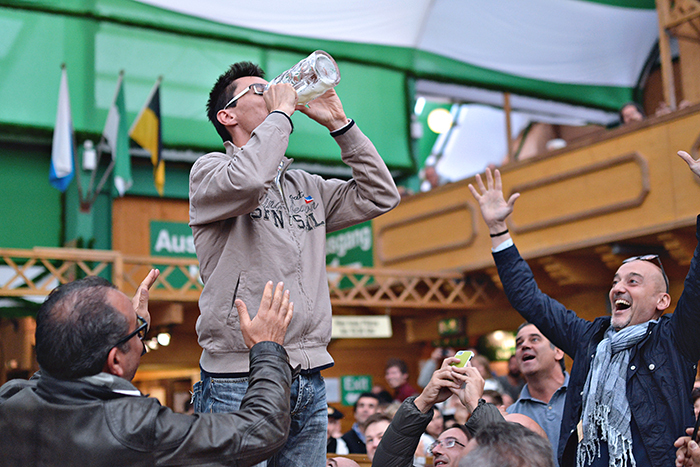 For now here are some tips for surviving Oktoberfest. 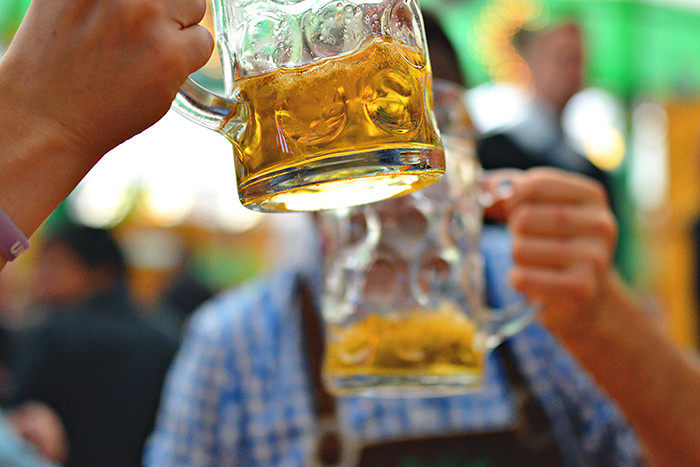 For the true Oktoberfest experience, you definitely want to get in a tent. This year there were 14 tents showcasing 6 Munich breweries, and each brewery brews a special Oktoberfest beer for the occasion. The tents are massive and crowded. Each is full of picnic-style benches and all usually open between 9 and 10 am (FYI you have to be sitting to order a beer). Once the tent is full, access is denied. So if you show up after lunch, odds are you will not get into a tent (this is especially true for weekends). We arrived bright and early at 9 am to the Armbrustschützen tent so we could pick a good spot (be warned many tables are reserved in advance, so make sure you don’t pick a reserved table). The Hofbräu Festzelt tent is probably the most famous (and most crowded). Once you pick a tent you want to settle in and avoid tent-hopping, because once you leave, you may not get back in! 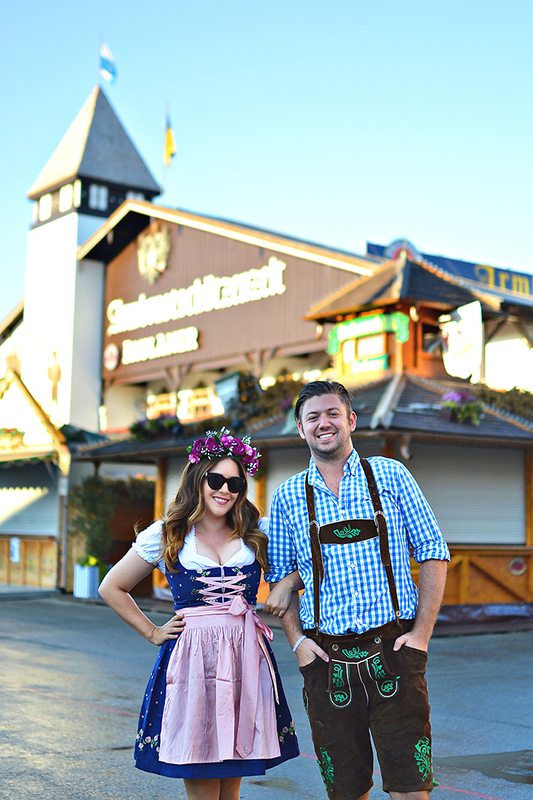 Dressing the part for Oktoberfest is half the fun. 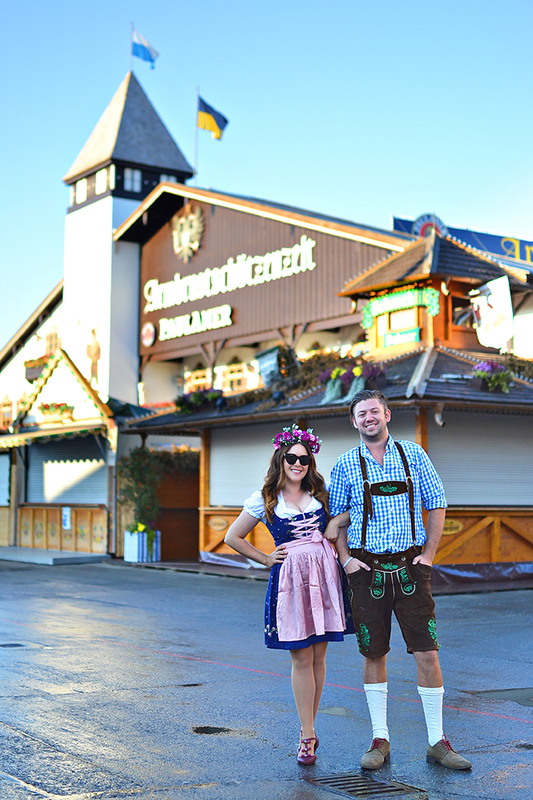 Men wear lederhosen and women wear dirndls. You can purchase yours when you arrive in the many (and I mean many) shops around town. Prices vary from super nice and authentic to train-station cheap (40 euros to 200+ euros). 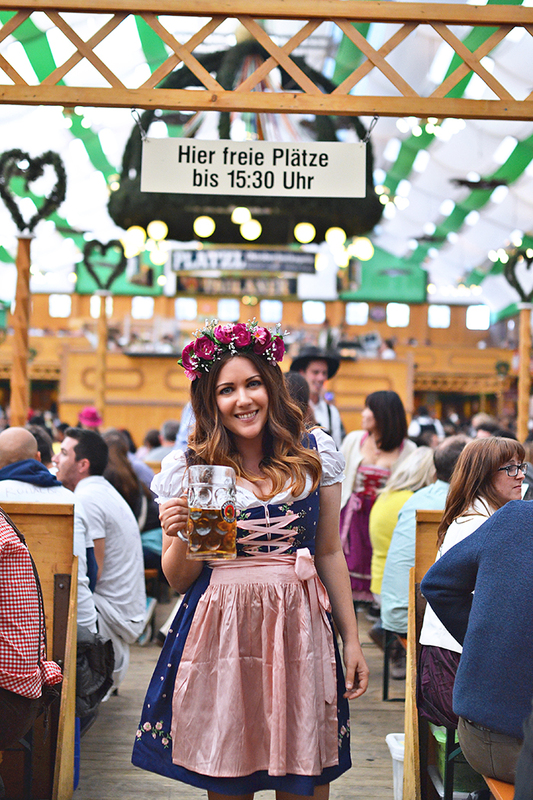 Everybody dresses up, locals and non-locals alike, and people wear their lederhosen and dirndls all weekend and even outside of the beer tents. Also ladies, it is a good idea to wear close-toed shoes and bring a small cross-body bag, or no bag at all. The minute you tell someone that the beer is very strong and they should pace themselves, they seem to have something to prove. You have nothing to prove! 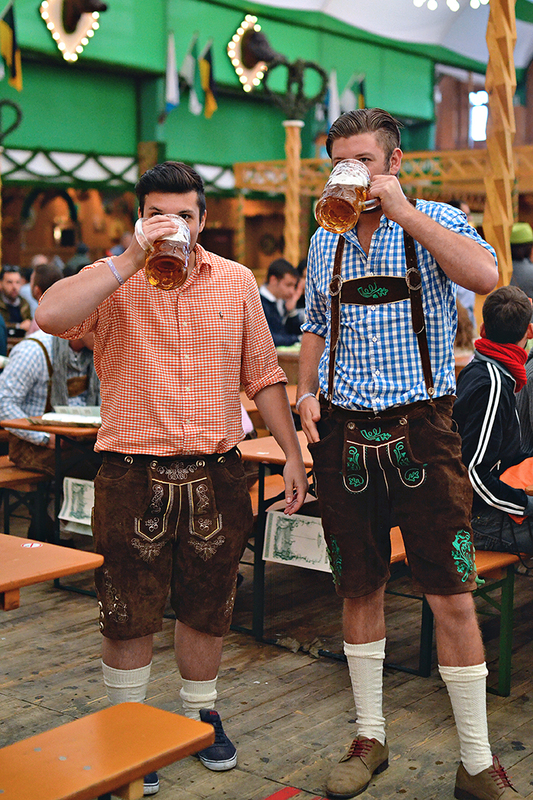 Oktoberfest is only fun if you remain upright. Beers are served by the litre and cost 10.25 each. They also offer a half beer, half lemonade concoction called a “radler." It is always a good idea to throw a couple of those in there throughout the day (it’s actually all I drink). If you want good service and the less-foamy beers, you need to tip! Tables seat 8, so if everyone orders together and chips in 50 cents each, that’s already a 4 euro tip. 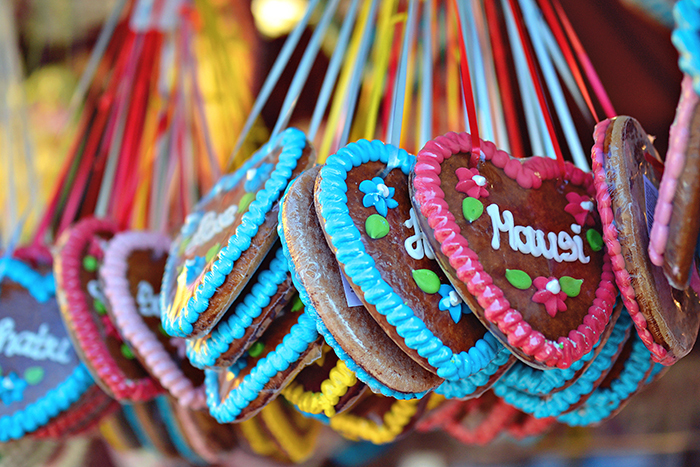 The traditional Bavarian food served inside the tents is delicious. They also serve a variety of breads and pretzels. Try them all! Along with the beer tents, the massive Oktoberfest grounds is filled with all kinds of carnival rides and street food vendors. When you tire of the tent (I can only make it about 5 or 6 hours), the rides are lots of fun! 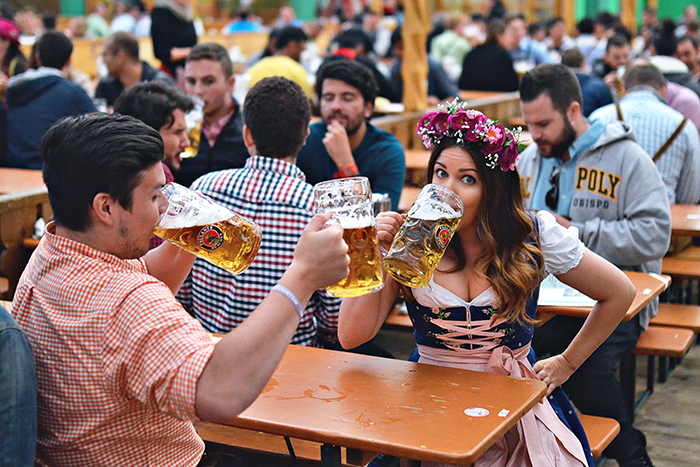 If you do go to Oktoberfest, it is important that you see more than just the beer tents. Munich is one of my favorite cities. There is definitely a lot to see and do besides Oktoberfest. I like to get to the tents early, have lunch, stay for the music after lunch, and then leave to explore the city. Whether on the festival grounds or in the city, it is important to use the buddy system. This will keep you from getting lost in the massive tents, as well as, shield you from unwanted interactions with overly drunk people in the streets. As a woman, I definitely didn’t want to walk around late in the day on my own. The level of male intoxication (and female, they just didn’t bother me) is crazy and some men can be aggressive and rude. 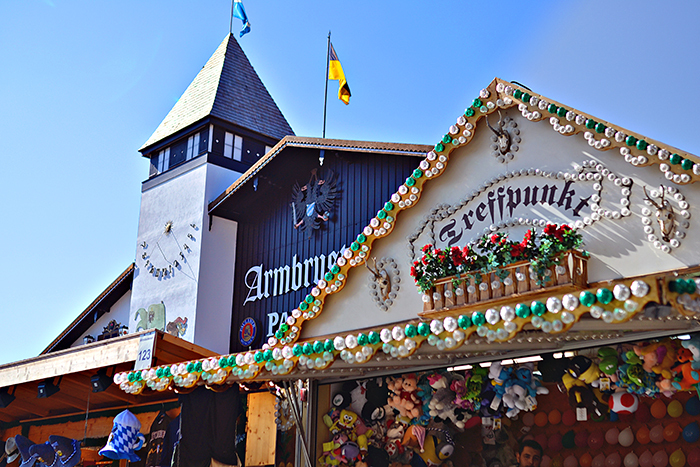 You can only pay for the beer in the tents and carnival rides with cash, so bring lots of it (don’t worry Munich has ATMs). If you stand up (when no one else is) and place one leg on the bench and the other on the table, you are signaling that you’re about to chug your entire litre of beer. People with start cheering and all eyes will be on you. The only problem is that if you do this before the Germans do, or too early in the day, you will be kicked out of the tent. By the end of the day, everyone will be standing and swaying on the benches, again let the locals start this before you join in. 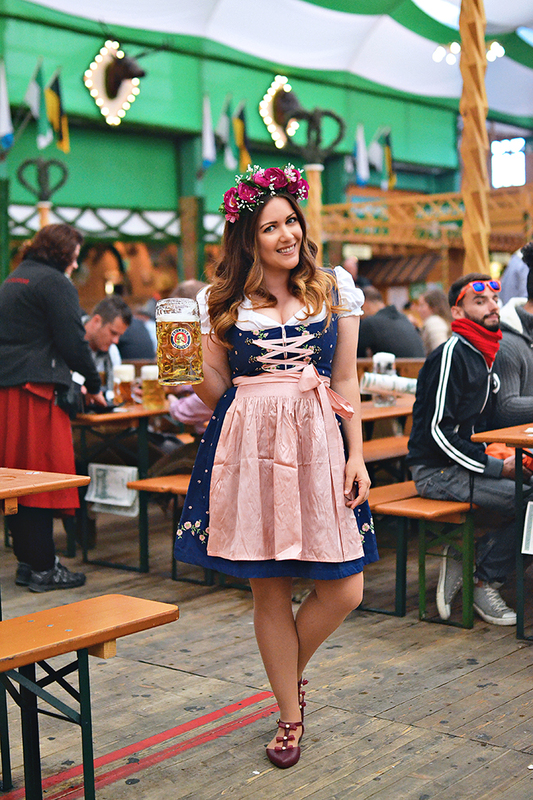 Have you been to Oktoberfest? Do you have any tips to share?